YouMove is a novel system that allows users to record and learn physical movement sequences. The recording system is designed to be simple, allowing anyone to create and share training content. The training system uses recorded data to train the user using a large-scale augmented reality mirror. The system trains the user through a series of stages that gradually reduce the user’s reliance on guidance and feedback. 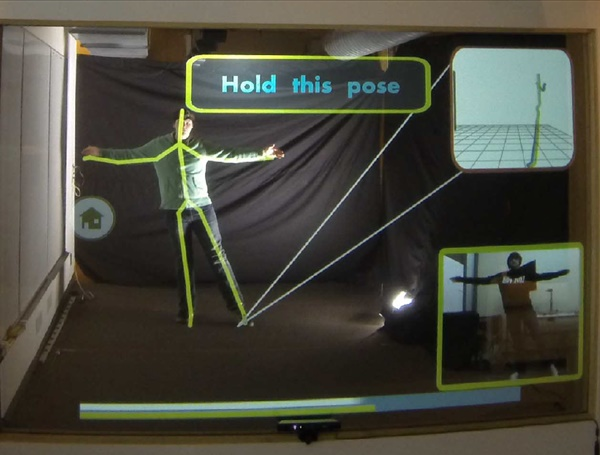 This paper discusses the design and implementation of YouMove and its interactive mirror. We also present a user study in which YouMove was shown to improve learning and short-term retention by a factor of 2 compared to a traditional video demonstration.